Staging your home to sell is very different than decorating your home to live in. When you stage your home to sell, you depersonalize the home so that potential buyers can envision themselves living in the home. When you decorate the home, you do the exact opposite, you personalize it! Staging really does make a difference…whether you’re living in Granite Bay, Folsom or El Dorado Hills; whether you’re working on a shoestring budget or have unlimited resources; whether you have an eye for color or not, if you are considering selling your home, staging it will make a difference! 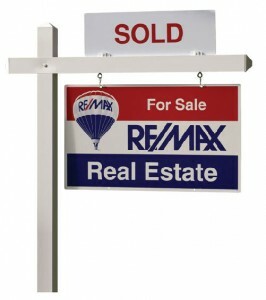 Take for example, some clients of mine who tried to sell their home off and on for several years. They had children at home and really didn’t want to disrupt their “world,” so they made the decision to list their home “as is,” hoping to sell it “as is!” Not surprisingly, the home didn’t sell…it was listed three times prior to my meeting with them. Over the course of the last three listings, they came to realize that they were disrupting their children’s world more by having potential buyers traipse through their home on a regular basis only to be told once again that the home “didn’t suit their tastes” or “didn’t meet their needs,” or “didn’t work with their décor.” They agreed to give staging a try, and they diligently followed all of my advice and the advice of Mary Tcarzy, a professional stager that I work with often. They painted walls, moved furniture, packed boxes, moved unnecessary furniture and toys to a storage unit…they even cleaned and painted the inside of their garage! Guess what? Their home sold after being on the market for less than a week…it helped that it was priced right, too! If you’re considering listing your home, I’d love the opportunity to meet with you and discuss how we can sell it! Staging just might be the answer you’re looking for. This entry was posted on Friday, April 16th, 2010 at 10:15 am and is filed under Home Selling, Staging. You can follow any responses to this entry through the RSS 2.0 feed. You can leave a response, or trackback from your own site.